At Dentons, we stand ready to defend and protect our clients in an efficient, cost-effective manner by anticipating and proactively responding to the pursuits and demands of criminal and regulatory enforcement authorities. Our White Collar and Government Investigations lawyers are at home in the courtroom and inside government offices. We are seasoned trial lawyers with substantial experience trying cases against and negotiating with government officials. We stand ready, willing and able to go the distance for our clients. 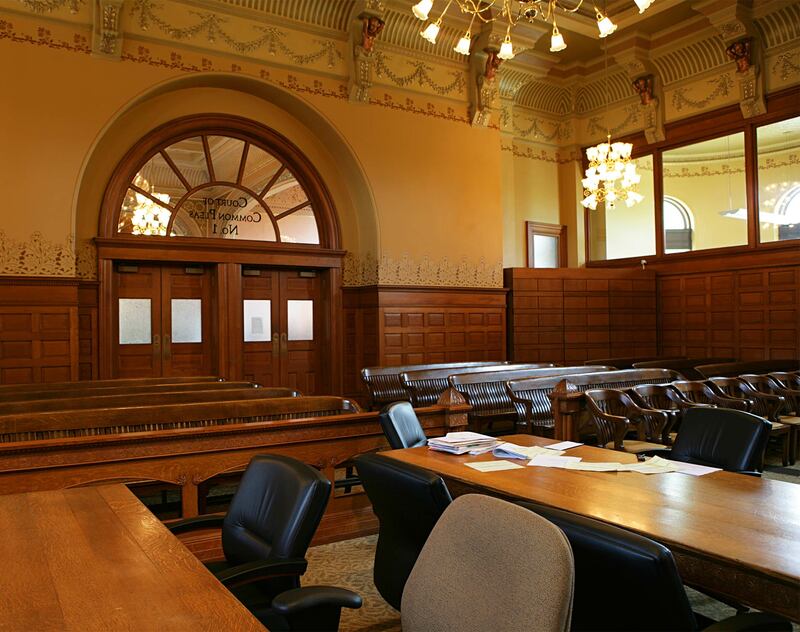 Our seasoned lawyers routinely lecture on and teach criminal law and related subjects, at various government law enforcement agency training centers, industry panels and legal conferences. Dentons' lawyers also frequently counsel clients who have been victims of crimes, fraud or both. We offer creative solutions on how to best address the resulting losses and how to prevent future occurrences. FCPA risk assessment program: Represented a global logistics and fulfillment company in connection with evaluating FCPA and corruption risk in its Middle East subsidiary operating in high-risk jurisdictions. Representation included legally privileged corporate compliance risk assessment, limited-scope transaction testing and compliance controls review, as well as advising on risk mitigation strategies going forward. Accounting fraud: Representing a lead defendant in an alleged US$400 million accounting fraud criminal case pending in US District Court. The case involves mail fraud, wire fraud, securities fraud and conspiracy charges asserting various schemes to inflate revenue. Anti-corruption: Representing global health care/medical device company in connection with SEC and DOJ anti-corruption investigations and advising client on adoption of new anti-corruption policies and procedures. Anti-corruption: Representing major global engineering firm in connection with an investigation by the World Bank Integrity Vice Presidency into alleged corrupt and fraudulent practices by a foreign subsidiary involved in a bank-funded project. Bribery: Assisting international technology retailer with investigation into suspected bribery of an agent. Advising on self-reporting to the UK Serious Fraud Office. Anti-corruption: Representing former CEO of public pharmaceutical company in SEC and DOJ investigations into alleged FCPA violations. Antitrust: Representing senior executives of a Japanese automotive component manufacturer in federal grand jury criminal investigations relating to alleged price fixing and bid rigging conspiracies with other Japanese companies for the sale of wire harnesses, speedometers and other gauges in Japanese automobiles manufactured in the US. False Claims Act: Represented GlaxoSmithKline plc in qui tam whistleblower litigation, alleging violations of the US False Claims Act in connection with the drug Paxil, and seeking billions of dollars in damages. Our team convinced the court, at an early stage in the litigation, to dismiss the whistleblower's case in its entirety with prejudice and without an opportunity to amend. Our team convinced not only the court, but also the US Department of Justice, to support our position in seeking dismissal. Internal investigation: Conducting an investigation into allegations of bribery, fraud, false accounting and breaches of international sanctions by employees and contractors of a multinational consumer goods manufacturer; the investigation, which was conducted in more than 12 jurisdictions, helped the client resolve difficult issues and substantially improve its processes and procedures. Procurement fraud: Representing manager of large construction company in DOJ investigation of alleged disadvantaged business entity/minority business entity fraud. Public corruption: Won the acquittal of the three-term county executive of Jackson County, Missouri, on political corruption and fraud charges after a three-week jury trial in the Western District of Missouri. Risk assessment: Conducted an FCPA risk assessment pursuant to an EPC contract for an energy production project to be executed in multiple foreign countries in high-risk environments for the regional subsidiary of a multinational power company. In addition to assessing the corruption risks associated with local investors, owners and decision-makers, we evaluated the manner and means of payments for services, distributions to investors, and development and bid costs for future projects, within FCPA constructs. We also recommended specific practices designed to avoid FCPA infractions in the relevant jurisdictions. Securities fraud: Serving as lead trial counsel for the chief financial officer of NIC, Inc., who was accused, along with others, of failing to accurately disclose the compensation of the information services provider's co-founder and former CEO, achieved a total defense verdict. After a three-week trial in the US District Court for the District of Kansas, the jury rejected all 12 of the SEC charges in their entirety, completely exonerating our client. Dentons is proud to announce that Canada Chief Executive Officer Beth Wilson was named a winner of WXN’s 2018 Canada’s Most Powerful Women: Top 100 Award. Dentons US LLP announces the elevation of nine new partners and two counsel in the Firm's US offices. The promotions include lawyers resident in six offices throughout the US. Further, more than 80 percent of the new partners and counsel are women. Amidst the media focus on the ongoing SNC-Lavalin proceedings, the conviction of two businessmen on charges of bribing foreign public officials in India appears to have crept under the radar. On November 27, 2018, President Donald Trump issued Executive Order 13851 (EO 13851), creating a new US sanctions program targeting the government of Nicaragua and individuals and entities engaged in Nicaragua in human rights abuses, threatening the peace, security, or stability of the country, or deceptive practices or corruption. Three bills currently before the Australian Parliament this Spring sitting involve a major reform of regulation for corporate crime in Australia. Dentons, the world's largest law firm, today named four partners, two counsel and three associates to its Phoenix office as members of its Litigation and White Collar practices. Karl Tilleman, Paul Charlton, Erin Bradham and Quintin Cushner join Dentons as partners. Doug Janicik and Jason Sanders join the Litigation practice as a counsel. Three associates also join the Firm. Dentons' online research platform—available at antibriberylaws.com—distills the complex web of modern anti-bribery and anti-corruption laws into a user-friendly, customizable format.